1997 Tacoma 2.4, No Spark, No Start, Can't Solve. Impossible Fix? Body Grounds Good. Kick panel grounds good. Sanded contacts and body contact points. Rebuilt Battery to Body Ground Wire. New Crankshaft sensor. Sensor is within Ohms range. New Ignitor Coil. Tested 4 different coils. No change. Tested NGK coil, no change. New and verified working EFI relay. Fuses under hood verified intact and getting power. Fuses driver side fuse box verified intact and getting power. Donor wiring harness (Junkyard wiring harness). Donor ECU swap. Didn't change no start condition. Cannot get spark with pull up / pull down test. Cannot hear fuel pump activating. Seems to be sending fuel though system (strange). If anyone has any more places to look, I would really appreciate any suggestions. I feel that having the truck towed off is the next step, I sure some of you are familiar with that 'I give up' feeling. The toyotanation forums even gave up on me! Replied by guafa on topic 1997 Tacoma 2.4, No Spark, No Start, Can't Solve. Impossible Fix? Do you have power on sensors? That is what we name 5v ref. This tell you PCM is energized and internal voltage regulation is working. 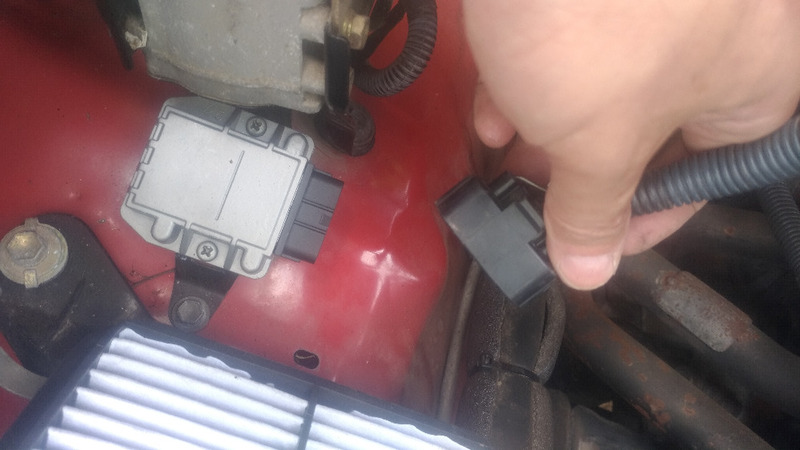 Replied by brianzero on topic 1997 Tacoma 2.4, No Spark, No Start, Can't Solve. Impossible Fix? Yes, I have power on sensors at various places, like the ignitor coil. What diagnostic tools do you have? Scope, wiring diagrams, amp clamp, secondary ignition test probe. Assuming here engine is cranking, isn't it? Ive got a multimeter, that's all. Yes, the engine is cranking over, no issues there. Replied by John Curtis on topic 1997 Tacoma 2.4, No Spark, No Start, Can't Solve. Impossible Fix? I would test for voltage drop and ground at the PCM. I replaced the entire ECU side wiring harness, and all the grounds are clean (and updated). The ECU is sending the ignitor coil a signal and Im getting the signal at the ignitor coil plug. This doesnt make any sense as to why the brand new ignitor coil wouldnt be firing. Ecu could be sending firing signal, but at wrong time (not synchronized with mechanical TDC. Last edit: 11 Apr 2019 13:56 by guafa. Im going to retest my ECU signal to the ignitor coil while cranking. Ill report back what it is. 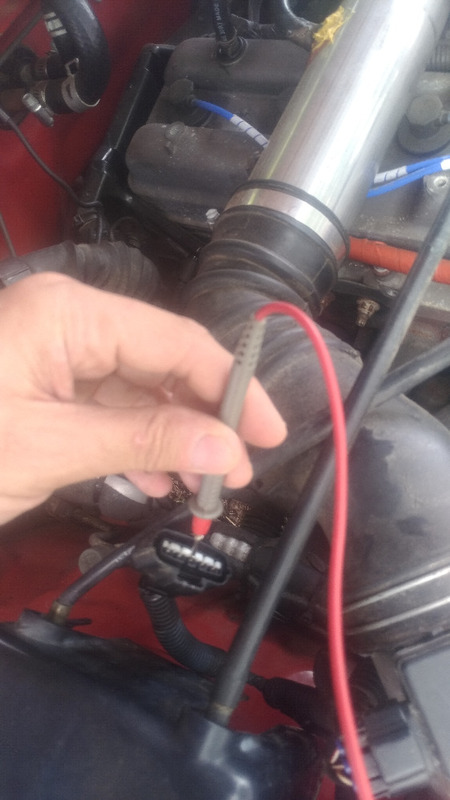 You can quickly check also for coil output, by unpluging one coil from its spark plug, insert a screwdriver in it, leave the screwdriver over the valve cover taking care that screwdriver shank is separated 1/2 inch (12mm) of ground and far from fuel lines, injectors or any fuel leakage. While cranking, you can see spark jumping to ground. I have 11.8v signal from the ECU to ignitor coil. This is with the ignition in the ON position. Acceptable range is 9 to 14v. I need to test this while cranking. Ill let you know the voltage. I have a voltage drop from 11.8v to 10v while cranking. This value was taken from the IG+ ignitor coil plug. And yes, i tested the spark test method with a spark plug touching the valve cover. No spark seen while cranking. I'm afraid that voltage drop, is due to starter current demand.